CAPTAIN MARVEL Will Bring Annette Bening Into The MCU Fold | Birth.Movies.Death. Here's an interesting piece of casting news: according to a new report over at THR, Annette Bening is signing on to appear in Anna Boden and Ryan Fleck's Captain Marvel. 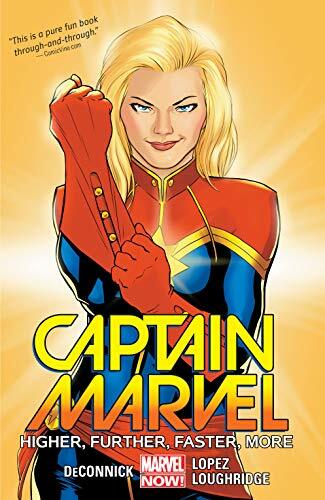 She'll be joining a cast that already includes Jude Law, Ben Mendelsohn, Gemma Chan, Djimon Hounsou, MCU two-timer Lee Pace, aaaand - last, but certainly not least - Captain Marvel herself, Brie Larson. THR has no idea who Bening will be playing in Captain Marvel, but claims the term "scientist" is included as part of her character description. Not much to go on here, in other words, but as far as we're concerned that's really neither here nor there: BMD is a very pro-Annette Bening household, and it's fun to hear she's joining the MCU in any capacity. Nothing further to report at this time, so this is the end of the article. Stay tuned for more on Captain Marvel as it becomes available.